It is still not too late to start an Advent calendar. Even if my kids' favourite Advent calendars are the chocolate ones from Coop supermarket, this doesn't mean I can't add another one this December. 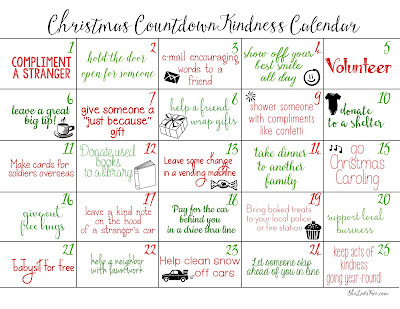 She Lives Free has posted a lovely Acts of Kindness countdown to Christmas printable calendar. 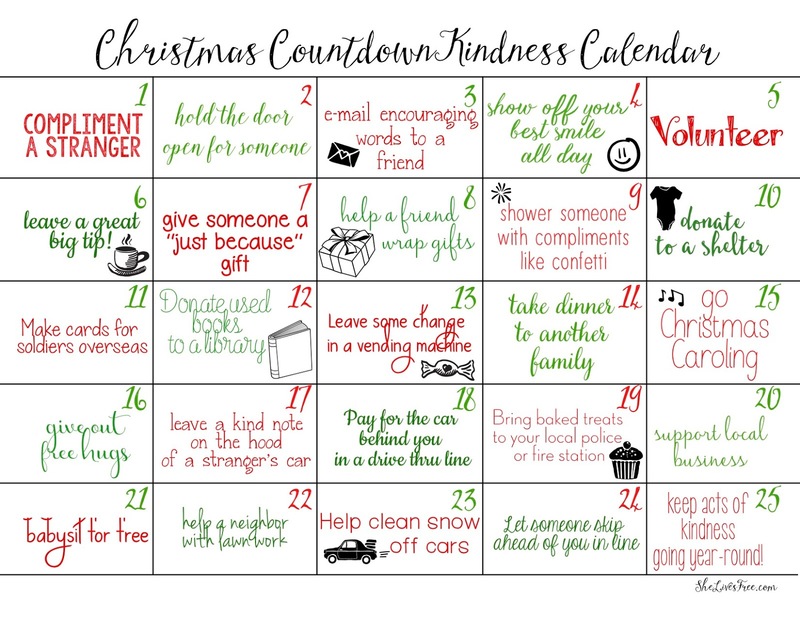 Ideally, you'll be holding the door open to a stranger or giving out free hugs more than once a month but maybe doing these acts of kindness consciously might spark the impulse to do more. And don't forget, you can always modify the acts that don't feel right and replace them with your own. So, go ahead and start making some space on your kitchen fridge to hang up this very sweet Advent calendar.